I drew the four of diamonds for week 27 of the Deal Me In challenge. In this challenge, at the beginning of the year, participants pick fifty-two stories to read and assign each to a card in a standard deck of playing cards. Draw one every week and you’re done at the end of the year. The randomized order of the reading sometimes presents interesting coincidences, which I enjoy. An explanation of the challenge is here. My list of stories for 2015 is here. My lists for prior years are on the sidebar. 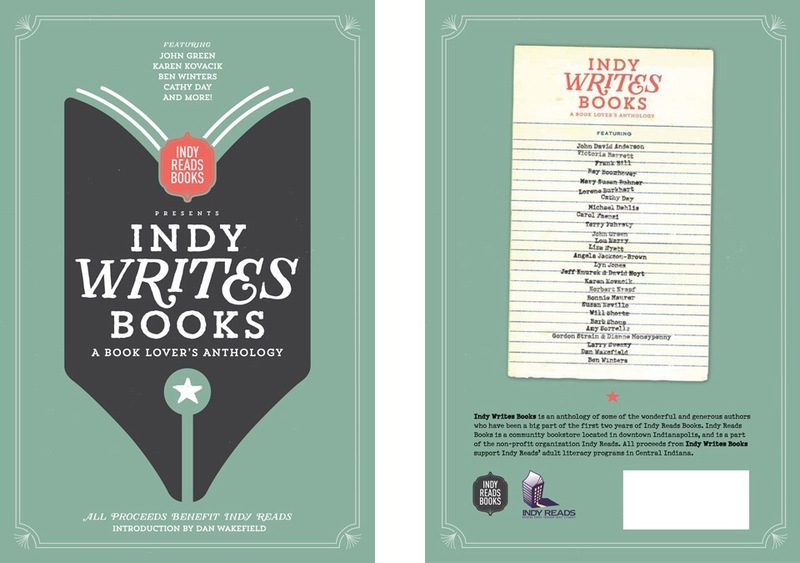 I own a copy of this story as part of the “Indy Writes Books” anthology, a fundraising publication of Indy Reads Books that features Indiana writers and donates its proceeds to local adult literacy programs. Bibliophilopolis is happy to be one of many sponsors of the project. The story takes place in 2001 and is sparsely populated with just a few characters – Rae, Joel (the store owner), two adolescent male customers, Devin and Jackie, and Camille, who has a crush on Joel and works in another shop that Cosmo’s shares a strip mall with. Initially, there didn’t seem to be too much to the story other than some typical teenage banter between the customers and Rae, or the Boss-employee dynamic between Joel and Rae. 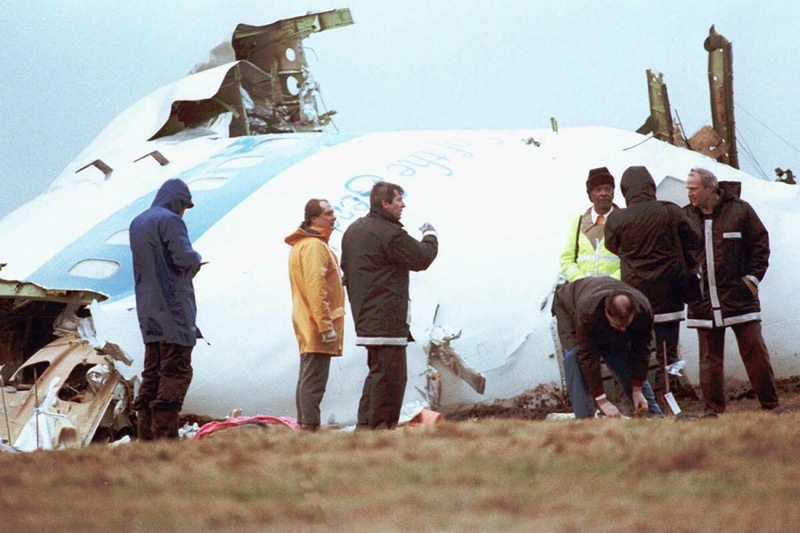 But then a report comes on the Radio that Al-Megrahi, a Libyan terrorist, has received a life sentence for his role in the Pan Am 103 over Scotland in 1988. Rae is unfamiliar with this historical event and Joel explains to her that “300 people” were killed in the incident. What interesting short stories have you read lately? Can you think of any books or stories where you have been unable to determine the meaning of the title? I’ve always wondered why Hemingway used “The Sun Also Rises” as a title. I know it’s from Ecclesiastes where the writer talks about the meaninglessness of life. So that doesn’t surprise me given Hemingway tends to see lack of purpose in everything. But the title to me sounds more positive and upbeat than the story is. Why didn’t he use “All is Vanity”? But I’m with you, I can be content in not knowing exactly what a title means. And I think I would like the way the horrific act enters into the everyday life of the characters in your story. I have really come to enjoy playing the “What Does the Title Mean?” game. Especially since one can probably assume the author did not take the naming of his/her story lightly… 🙂 My week 28 story title is “The Commissioner and the Pig” – can’t wait to play the game with that one. Sounds like an interesting story. I often try to figure out what titles mean, although short story titles often seem clearer after reading the story than titles of novels. I recently read a book by Larry Sweazy (See Also Murder) and he has a story in Indy Writes Books. I see that story is on you list so I look forward to seeing what you think of it.